Would you like to know the 1 sentence you must never say if you want success? I used to say this sentence all the time before I realized how damaging it is. Since then, I’ve built a multiple 7-figure coaching business while helping my clients build multiple 6, 7 and even 8-figure “Freedom Lifestyle” businesses without the hassle. Lack of ENERGY and lack of MONEY are no longer issues for you? And I’ve got proof from my clients who I’ve taught these same strategies to. 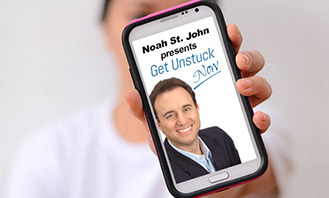 Then join Get Unstuck Now to enjoy the benefits of getting you and your business finally UNSTUCK.